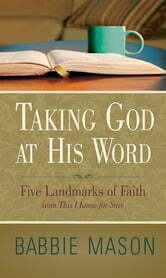 Award-winning Gospel singer-songwriter and Bible teacher Babbie Mason challenges you to examine your personal relationship with God, make up your mind to believe God’s Word—regardless of your feelings or circumstances—and take hold of some non-negotiable principles of the faith. 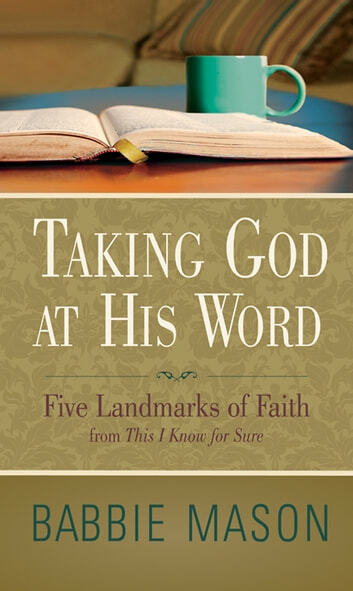 Drawn from her Bible study, This I Know for Sure: Taking God at His Word, this small, inexpensive book provides a snapshot of the five truths we can know for sure—assurances that can ground our faith and keep us steady even in the rockiest of times. Evangelism in the New Millennium: A Short Story from "Amazed by the Power of God"